I trust that no matter what, you will always see me first and foremost as your dad. I hope that never ends. But I want to share a different vantage point with you. 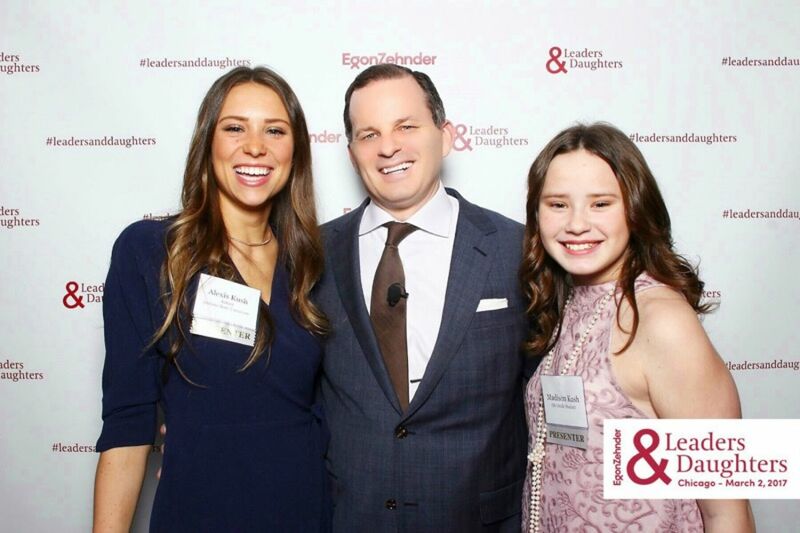 As a professional well into my second decade in the business of leadership advisory and my second year as a champion of Egon Zehnder’s #LeadersAndDaughters event series, my thoughts on gender diversity have changed dramatically. That change has come as much from having daughters as from my professional experiences. I understand more than I once did, and as I watch you grow I also understand that you will have challenges that I never faced. I’ve learned a few things from some brilliant people, both men and women, who have opened my a little wider to how I can help the cause of every daughter in the world: Tom Wilson (CEO of Allstate) helped me see that I had an obligation to help those who didn’t have the advantages of being a white, well-educated male. Karuna Rawal (President and Chief Strategy Officer of Arc Worldwide) helped me see that lack of confidence in women didn’t mean lack of competence and that I may need to give women a little more of a push than men. Tonise Paul (CEO of Energy BBDO) showed me that being true to yourself was the ultimate show of strength. Al Harris (Partner, Nixon Peabody) and Andi Kramer (Partner, McDermott, Will and Emergy) brought home to me how much each of us can make a difference and that you really do have to speak a different language to communicate with different groups. I am incredibly, insanely, and overwhelmingly proud of you. You both work so hard to achieve your dreams and aspirations; it makes me feel like I’ve done something right in my life. The love and care you both show for all people convinces me that there is real beauty in this world. No matter what the world presents, I can always think of the good I see in you and it pushes me forward. When in doubt, ask me. There are going to be times in your life where you’re not sure if you should raise your hand for the big assignment, ask for the promotion, or sign up for the stretch goal. Ask me. I’m going to tell you that you have just as much if not more capability than the other people. Men will probably talk louder because that’s what we do. That doesn’t make you any less qualified. You just go about it differently and have to realize that we all have doubts regardless of how loud we talk. Don’t let it hold you back because there are a whole bunch of other women who need to see you succeed so they can have the same courage as you. You don’t have to change for anyone or meet anyone’s expectations except your own. You are perfect the way you are. Period. I have no idea where life may lead you. Whether it is a corporation, government, the arts or raising a family I want you to do it by being you. If someone is telling you that you need to change who you are to fit in, then you’re in the wrong place. Seek out environments where your unique talents and character are recognized and appreciated. One more thing…thank your mother. Through my ten years of military service and eight and a half years on the road as a strategy consultant, she worked a full-time job and raised you. Whatever you are, you owe it to her. As a leader in a complex, volatile world I can’t afford to get less than the best from all the people in our organization. Sometimes I don’t know how to do that, especially with women, but I’m learning. Keep me honest and let me know when I’m backsliding. We can make a real difference – together. Douglas Kush is the Managing Partner of Egon Zehnder’s Chicago office.